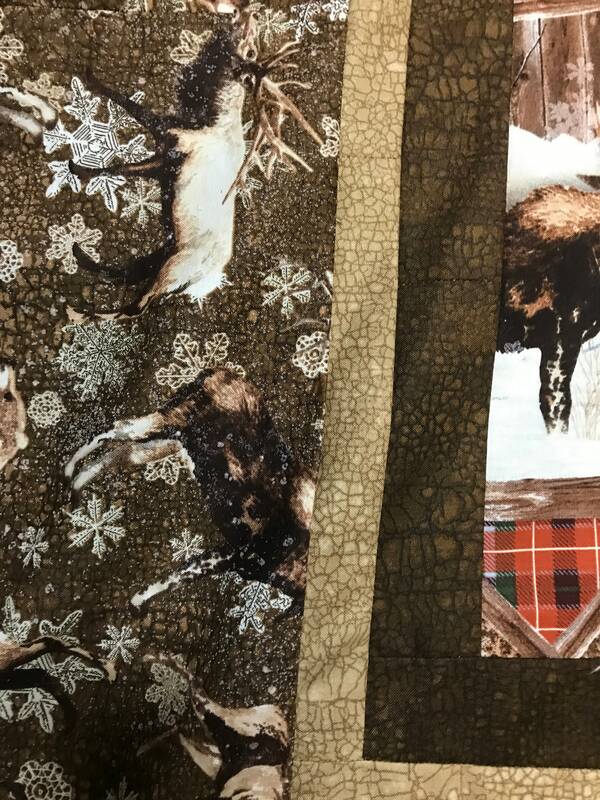 This Northern Woods Quilt Top is ready to finish or we can complete the Quilt for you. 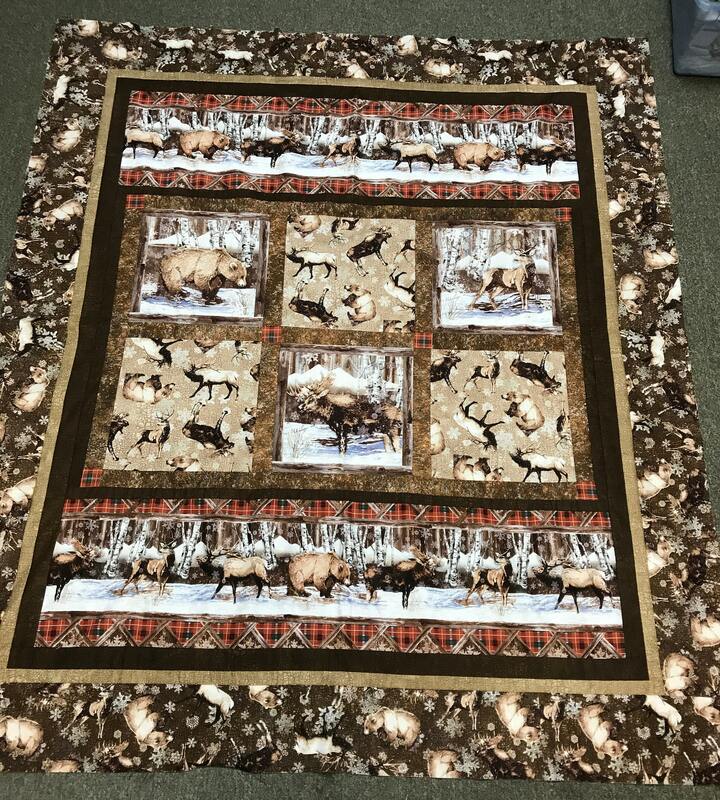 Quilt top size is 54x62. 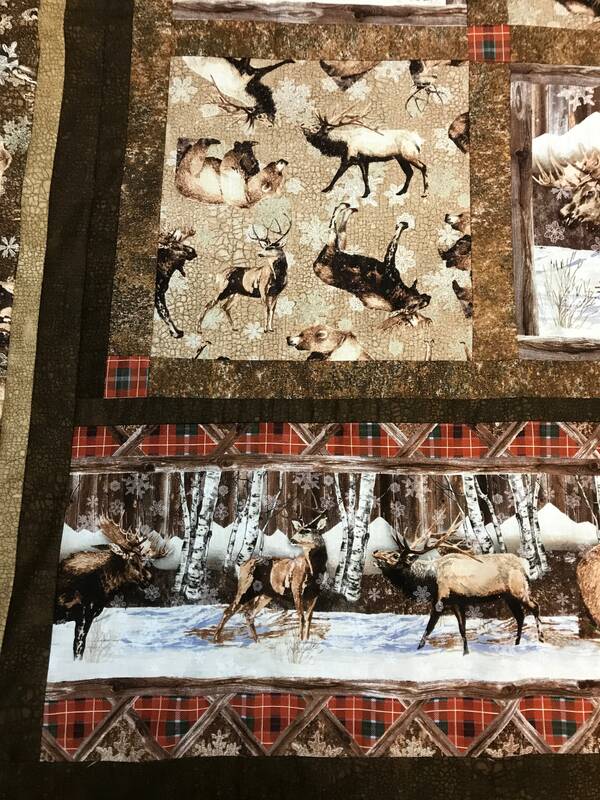 This finished Quilt would look great in a log cabin or as a cozy throw. 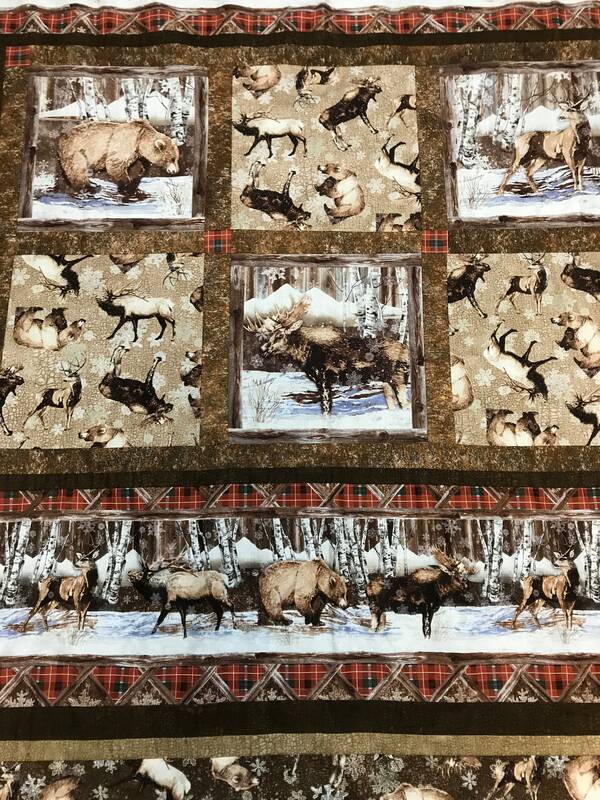 Perfect for the outdoor lover. 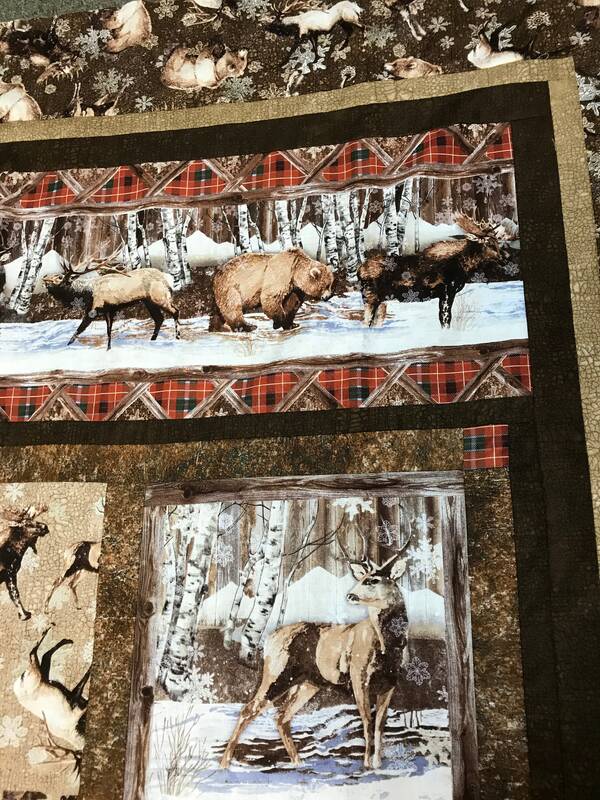 It features Bears , Moose and Elk in the snow with woodsy accents and red plaid.